Perfectly pamper your body with the Softening Butter Salt Scrub from AHAVA. 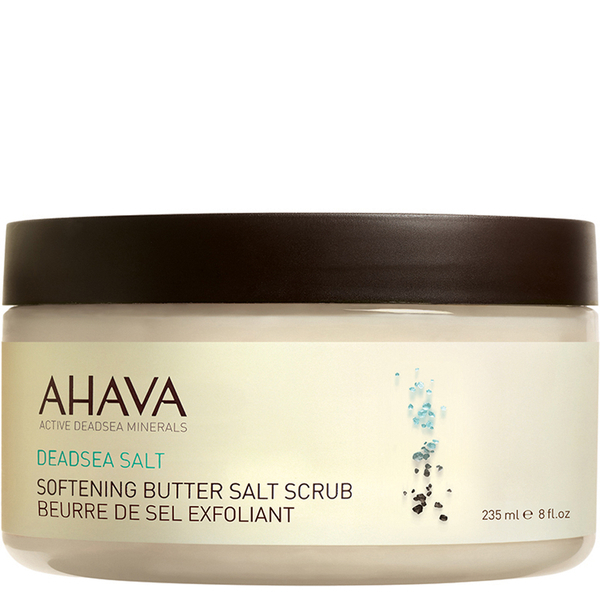 Synergising concentrated Dead Sea minerals and salt crystals, the butter-textured exfoliator transforms into a luxurious lotion upon contact with water; helping to deliver intense hydration and buff away dead skin cells without abrasion. Expect smoother, more refined skin with improved texture and tone.